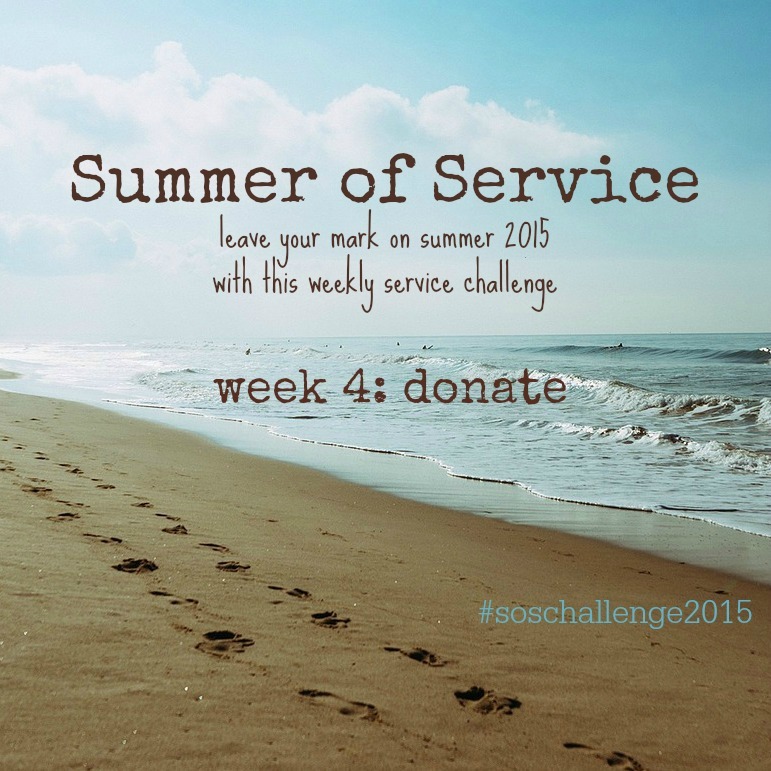 Welcome back to the weekly Summer of Service challenge! 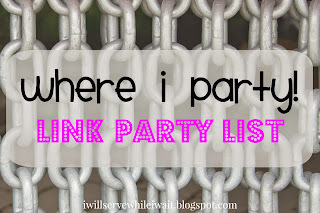 I've got a confession - my kids love some of these challenges more than others. Each week when we talk about our challenge, I occasionally get the side eye glare from at least one kiddo. And, that's ok! Some challenges just aren't for everyone! But, last week's challenge was definitely one of Holden's favorites! She LOVES surprising people with little acts of kindness! Were you able to join us and bless anyone with a random or intentional act of kindness? I would love to hear from you if you are serving alongside us this summer! I've been hearing a few stories and they absolutely make my day! We were blessed Monday morning with an act of kindness! Our sweet neighbors brought us donuts! What a fun and unexpected way to start our RAK week! Holden LOVES ding-dong-ditching and she LOVES animals. So...we combined the two and ding DOG ditched a fellow animal lover that Holden thinks the world of! Paying for the car behind us is one of our favorite RAKs to do. Without me asking she said, "my favorite part is when they reach for their wallet and find out their meal is free - they always smile SO big!". And, that's why spreading kindness with your kiddos is worth it to me! They get it! They really get it! Kindness ROCKS! 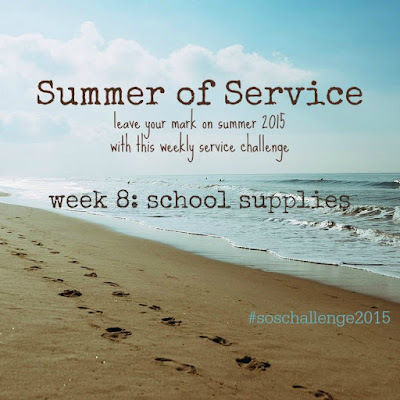 This week's theme is: school supplies. I truly don't even want to think about school starting but with all the back to school sales, it's the perfect time to purchases school supplies for pennies!!! 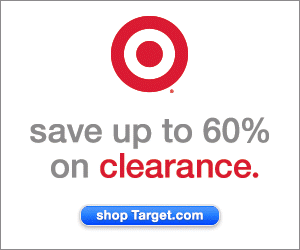 No kidding - check out Office Depot and Office Max for their weekly sales! We've been stockpiling supplies to help us donate and held kids who need them. *put together a backpack filled with supplies - You can normally find school supply lists by grade/school where school supplies are sold. 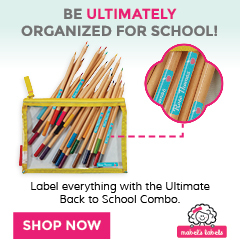 Choose one and fill a backpack with all the supplies a kiddo will need to have a great start to the school year. You can then drop it off at the school and they will be able to pair it with a student in need. *ask teacher friends for any needs - Teachers buy LOTS of school supplies for their classrooms. Ask him/her if they have any specific needs and surprise them with a box of goodies before school starts! *support your local Stuff the Bus campaign - The Junior League in our area does a back to school drive each year. Simply buy a few school supplies and drop them in boxes located around town. *don't forget older kiddos - It's easy to think about those cute little ones heading to school for the first time but don't forget about the big kids too. Sadly, the older they get the more expensive the needs are. A quick call to the counselor's office at your local middle or high school will allow you to learn the needs that their students may have. We'll continue checking out the sales and stockpile what we can. What about you? Do you have special places to donate school supplies? If so, share them in the comments section! I hope you and your family enjoy this challenge! 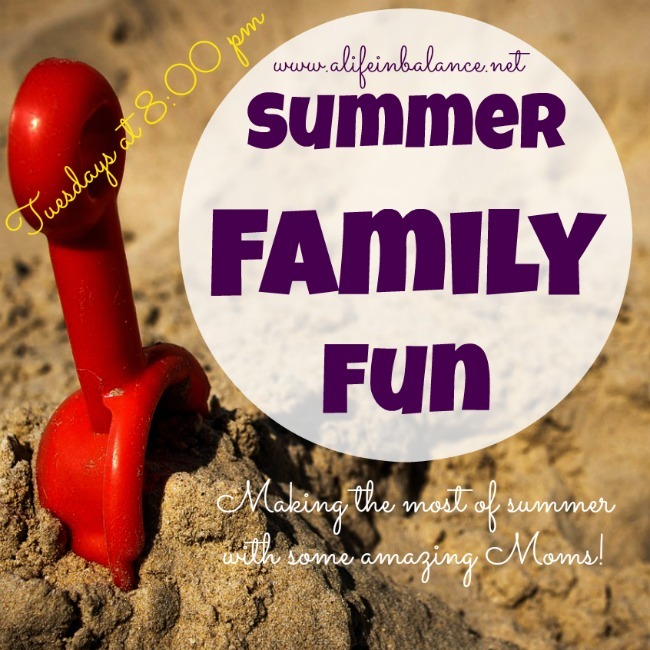 AND...for the next 6 weeks, you can find a BONUS link-up here for summer family fun posts! There are 30 co-hosts so your post will get maximum exposure!!! Feel free to link up both days! Awe I love that Holden had a great week with the random acts of kindness! You are awesome! Is it bad that I have already started buying school supplies for the hubs classroom?! I have this weird love obsession with school supplies/ office supplies anytime there is a sale I.AM.ON.IT! It's hard not to buy when they are on sale! The hubs came home tonight with 20 notebooks that he found for .17 each at Wal-Mart. Made.my.day! :) So, I completely get it! This is such a cool theme for a summer! I love her face in the photo where she's running away after ringing the doorbell! :) This is a great use of time and money. Thank you, Rachel! We are having lots of fun with it! Thanks for stopping by! Perfect timing grabbing the expression on Holden's face!! LOL! As a teacher, this melts my heart. We try and donate to families in need through the schools. Trust me there are plenty everywhere. You wouldn't believe how this blesses so many people, through the testimony alone. It breaks my heart when a child comes to school without school supplies because it is between buying them or eating a meal. Another wonderful idea Holly. I was laughing so hard while trying to get her picture! She gets so excited/nervous when she is about to ring the door bell! It breaks my heart thinking about kiddos starting school without supplies. I know they've tried to make things easier by sharing supplies but it still must be so hard on them. I think we get concerned because we can't help everyone but if we all just helped one person, oh, think what a difference we could all make! Thanks for your sweet words! Hope you are having a great Monday! This past week was so much fun! Maybe I will make it out to complete this weeks challenge too! I can't help but smile when I think of this! I have kind of an amazing idea - would you and your kiddos want to come speak to my students this fall? I would love them to see how service impacts their lives well beyond college! It would be so good! You've definitely peaked my interest! Let's chat about this! We are definitely interested! Thanks, friend! I love all of these!!!! As a teacher I know those who receive those supplies will be estatiic! What a bllessing! Thank you, Kristy! Just trying to do little things here and there. A bunch of small things added together can make a big difference! Looks like your RAK office was so fun! 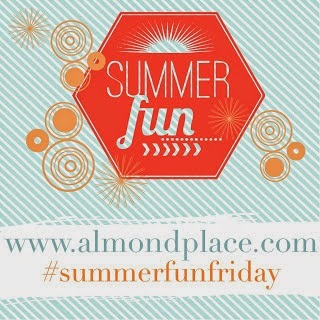 Thanks for sharing your summer adventures! We are definitely having fun! Thanks for stopping by! Hope you are having a fantastic start to your week! Thank you, Lowanda. I use to think I didn't have much to give. For some strange reason I thought the amount or gesture had to be grand to count. But, that's so not the case! There are so many needs around us - big and small! My husband and I have been hitting up the penny and quarter sales and we have a LOT to give and it hardly cost us anything!!! I've always tried to tell my kiddos teachers to please ask if they need anything. This is so hard for some but I've let them know that I'm really serious about wanting to help. And, I've learned to go to our school counselor to check on needs. I don't need to know who - I just need to know what! Thanks for being on this journey with us! We can all make a difference! Good job momma teaching your daughter the importance of giving. In today's society it seems to be something that is slipping through the cracks...on a completely separate note the donuts made me drool! I love Shipley's. We are living in Taiwan right now and we don't have donuts like that here really. Thank you, Laura! Wow, Taiwan! What brought you guys there? Wish I could send you some yummy donuts your way! 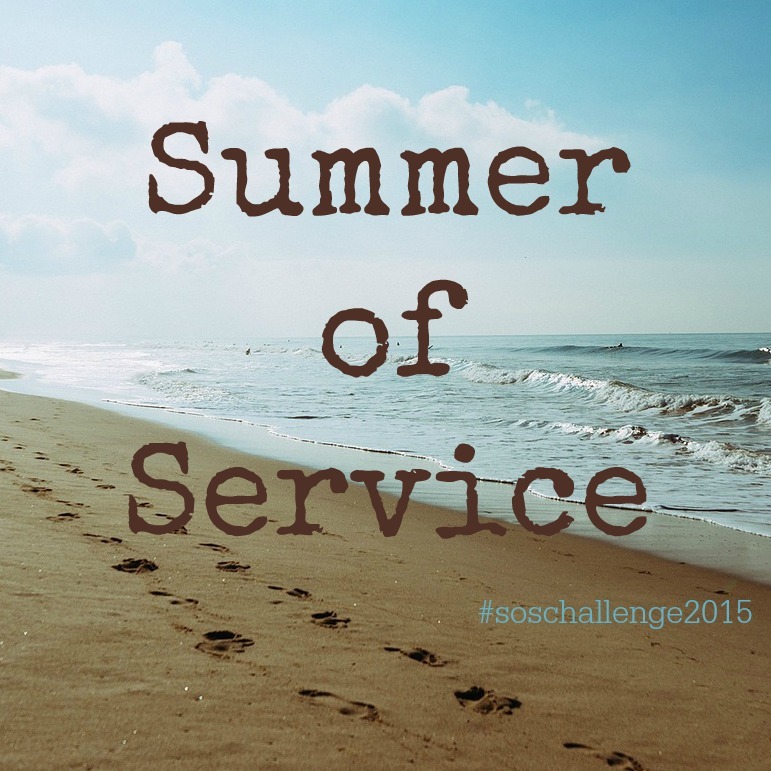 Holly, I absolutely LOVE the idea of a summer of service! What a wonderful example this is for your children and an incredible testimony to the world. As a teacher, I particularly love this week's challenge. May God continue to bless you and yours as you strive to live for and serve Him! Thank you, Heather! It's been a lot of fun! It's easy for me to get caught up with my life and not stop and look around. These challenges help me to focus on little things that me and my family can do for others. I'm glad you're here and hope you'll stop by again soon! Have a super day! 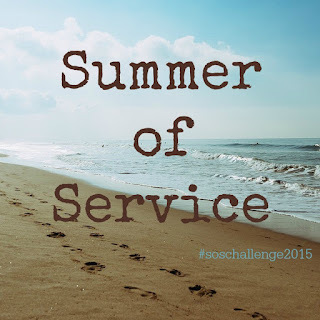 Holly, I love your "summer of service" chronicles! What a wonderful way to disciple your children and help them get excited about serving others! Thanks so much for linking up at Mondays @ Soul Survival. I pinned on my Mondays @ board. Thank you for hosting and sharing, Donna! It's been a fun way to think about someone other than ourselves this summer! Hope you are having a great day!